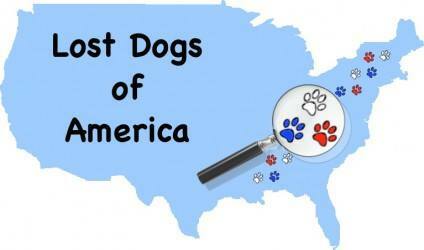 We are proud to be part of the Lost Dogs of America Network! "We are a group of volunteers who saw the need to provide no cost resources to the owners of lost dogs to increase the chances of locating and being successfully reunited with their dog. We also provide education for dog owners on preventing the loss of their dog. The program also benefits local animal control and shelters by decreasing the number of “owned strays” entering the animal control/shelter system and increasing the chances of finding an owner once the dog is in their care. The Lost Dogs of America website was created and is maintained by the two original founding members of the Lost Dogs network: Lost Dogs of Wisconsin and Lost Dogs Illinois. We developed a Facebook page and website to share the articles, ideas and resources that we have gathered from our experience in the successful recovery of over 20,000 dogs. Below are links to several of the most popular articles from LDOA's website, but there are many, many more available. Learn about behavior of a lost dog, how to set up a trail camera and feeding station, and effective ways to bring your dog home!